Larry Berman is a Co-Founder of ETF Capital Management, (www.etfcm.com) and Prosper Experiential Media, (www.prosperexperiential.com). Over his 25 year career, Larry has worked for numerous top firms in New York, Boston, and Toronto. 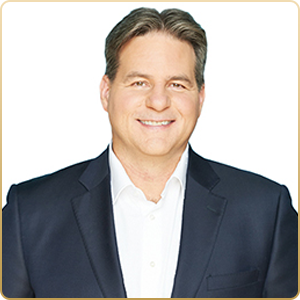 Prior to founding ETFCM (2006), he was Chief Technical Strategist and Managing Director for CIBC World Markets for nearly a decade where he was ranked as one of Canada’s “Top 3 Analysts” according to Brendan Wood institutional investor surveys. Larry is a Chartered Market Technician (CMT), a Chartered Financial Analyst (CFA) charter holder, and is a US registered Commodity Trading Advisor (CTA). Larry graduated from York University with a BA in Economics and lectures on behavioural finance and technical analysis at colleges and universities. Larry is the primary author of the textbook for the technical analysis course offered by the Canadian Securities Institute (CSI). He is past President of the Canadian Society of Technical Analysts (www.csta.org), past Vice-Chairman (Americas) of the International Federation of Technical Analysts (www.ifta.org), and past President of the Market Technicians Association – where he currently sits on the board of the educational foundation (www.mtaef.org). Larry’s opinions frequently appear in the media, and he is featured weekly on BNN’s Berman’s Call.